Authentic replica of the Gibson L-00 folk/parlour guitar. Comfortable and crystal clear definition with a pickup system included. 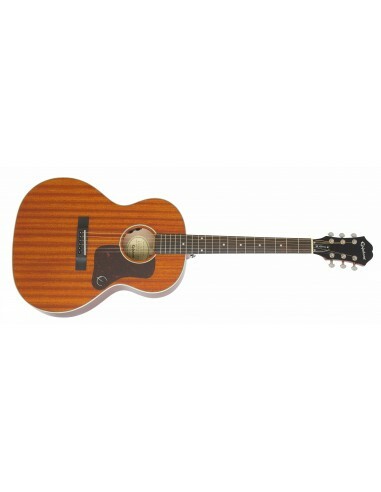 This fantastic value small bodied-parlour is great guitar for anyone, whether you're small, tall, on the go or sat at home, it'll find its way into the arms of anyone wanting it. Pickguard: Imitation Tortoise with vintage metal "E"